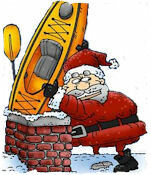 Don’t rely on Father Christmas to get that kayak down the chimney! 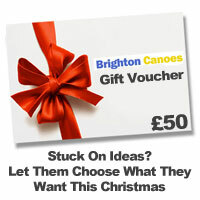 Here at Brighton Canoes we are open right through the festive season for all those last minute presents and stocking fillers. Even better, if you feel like a break from the frenetic pace of xmas and the outlaws then pop in for a cup of tea and a mince pie – we know how you feel! 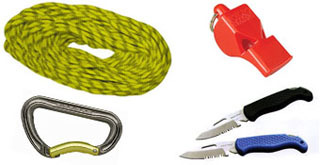 Keeping a canoe or kayak hidden away until the big day isn't easy, that's why we are offering free storage on purchases from 1st October. This allows you the option to collect your present ready for Xmas or to give the recipient a gift card on the day and collect it in the New Year. 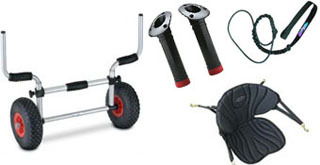 If you have any questions or would like to place an order just give us a call on 01273 513200. If you can't decide on what to get someone, don't just buy anything, buy them a gift voucher & let them decide. 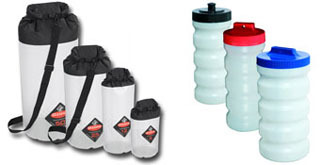 A range of lightweight, heavy duty & rucksack style dry bags plus Aquapac & Open Canoe Barrels. We can not guarantee any delivery will be delivered before Christmas Day if sent on these dates.